i love this picture ! thanks for sharing ! I have this image already, but not this large. Thanks for uploading it! Lovely scan... the cover of the final volume of CnK! Thanks! KOBATO! I luv this scan~ thanks! WOOOW! A BIG REALLY WOOOW! Ah, thank You! I've had that picture for a while but never could figure out who the girl was! Kobato looks like a magician/queen in Cinderella time. Haha! Wonderful combination! I always loved Syaoran and Kobato! They look like a great couple! If only Clamp would do twp-girls-like-one-guy type of manga series! That would be very interesting! Love triangle, ever though of it? Kobato-Syaoran-Sakura! 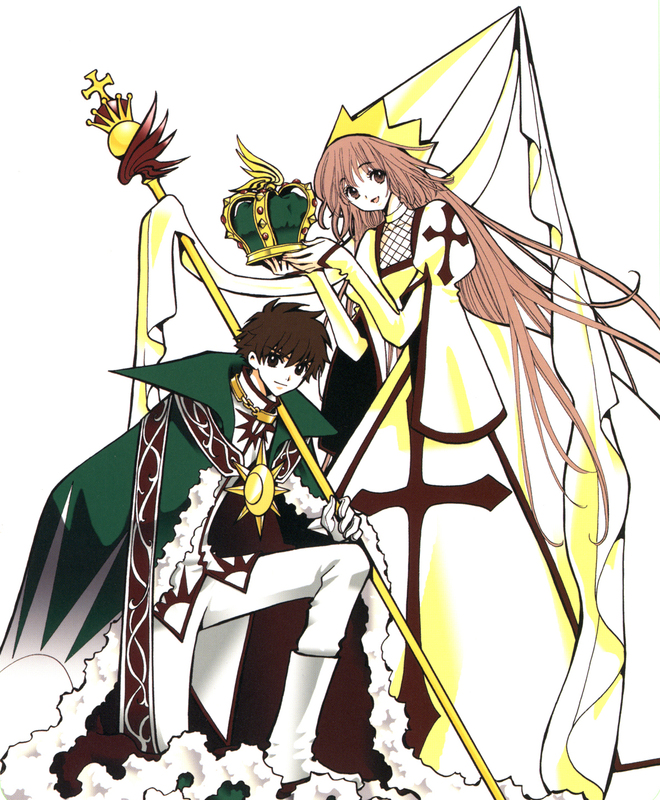 syaoran looks so nadsome here! I know of wish the actual chess pieces had all the characters in these outfits!